Portrait of an auto mechanic at work on a car in his garage. Photo courtesy of Shutterstock. If you are passionate about cars, there are various job opportunities in the automobile industry that are worth considering. From being a skilled technician to designing, the world of automobiles has a lot to offer. For individuals who are interested in addressing problems that affect vehicles and fixing them, becoming a technician is the ideal choice. 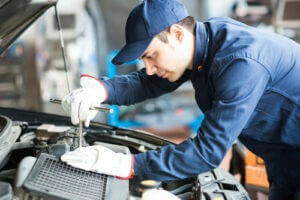 Technicians and mechanics are responsible for working on different types of automobiles and repairs.